Keeping journals in the field is very important to me, and I take pride in the documentation of my field seasons and international adventures! 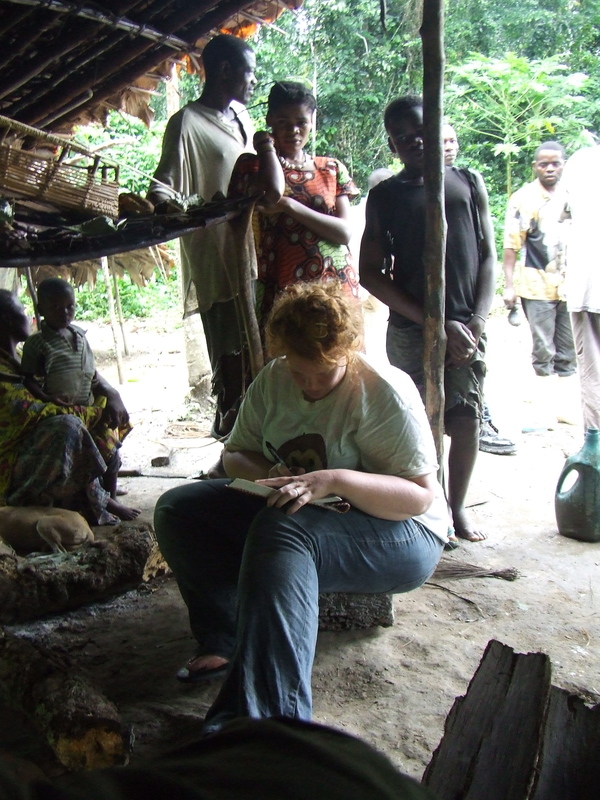 Researching the impact of increased artisanal mining on scantly studied communities of chimpanzees (Pan troglodytes schweinfurthii) in very rural northern Democratic Republic of Congo and caring for five legally confiscated chimpanzees. Managing a halfway house for chimpanzees who currently reside at Lwiro Sanctuary in Bukavu, DRCongo.